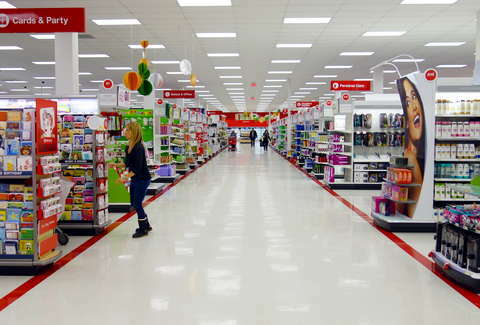 First, boozy Taco Bells, and now... walking-around beers at Target? It is truly a magical time to be alive. Target has confirmed to USA Today that a new Chicago store in Streeterville, set to open in October, has applied for two liquor licenses -- one of which is a Consumption on Premises license. Meaning you could soon be wandering around the aisles trying to find that crock-pot (seriously, what aisle is dishware in and why does it keep disappearing?!) with a glass of wine in your hand. While Target didn't get much more specific about its new in-store boozing plan, it seems to aligned with the company's new focus on its grocery and food items. This fall, the company plans to test fast-casual cafes like Freshii. Lucy Meilus is a staff writer for Thrillist and thinks all stores should have walking-around booze. Follow her on Twitter at @Lucymeilus and send news tips to news@thrillist.com.